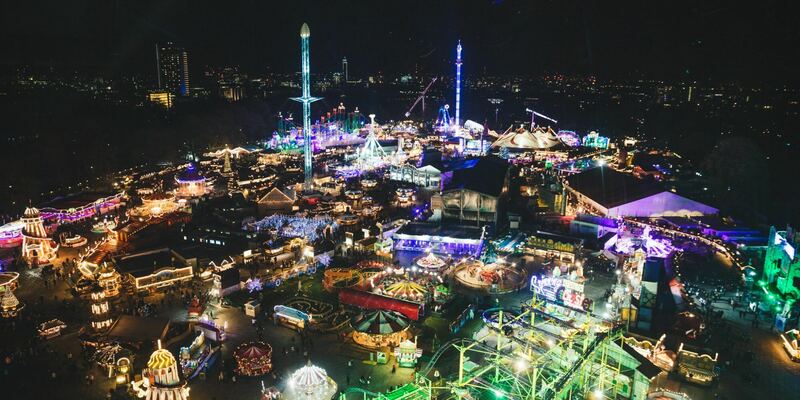 To visit Winter Wonderland, head to Hyde Park until Sunday 6th January 2019. Open every day from 10am – 10pm, this venue provides plenty of scope to roam around this historic park and explore in one of London’s most significant green spaces. What’s more, it’s within easy reach of our The Chilworth London Paddington. Animated hit The Snowman is a festive mainstay for UK audiences, and this attraction (which is brand new for 2018), puts visitors right in the heart of the action. Brought to life thanks to a partnership with Backyard Cinema, the experience provides a fully-cinematic walk-through so guests will soon feel like they’re flying along with the Snowman, and can relive the childlike wonder of the production whether visiting as adults or bringing along a new generation to take part. The experience takes 45 minutes in total, and includes a full screening of the original film. For families seeking a way to keep younger children entertained this Christmas, the Winter Wonderland production of Peter Pan on Ice could be what you’ve been waiting for! From the stunning costumes to the remarkable scenery, the show features 24 of the world’s finest skaters and plenty of original music and songs sure to impress all ages. We recommend this evening attraction after a day spent exploring the wintry city and indulging in the best afternoon tea with us at The Chilworth London Paddington, for a truly magical way to complete your trip. For those who’d rather be ice skating themselves, the Winter Wonderland also includes its own stunning ice rink. Feel like something a little more relaxing this Christmas? Then head along from one of our hotel in Paddington London and pay a visit to Bar Ice at Winter Wonderland, which stocks a world of fantastic seasonal drinks sure to warm you up during the colder weather. This enormous Ferris wheel will be offering seasonal trips throughout the day. Whether visiting early in the morning or enjoying an evening spin, this is also a fantastic location for celebrating winter birthdays or other special occasions with loved ones in your own pod. This year there’s a chance for visitors to try their hand at sculpting their own ice creations in the on-site ice sculpture studio. Thanks to the expert guidance of some of the UK’s very best ice artists, guests between 12-17 age group can take part with a responsible adult. The workshop lasts 40 minutes, allowing you to discover a new talent in festive surroundings.